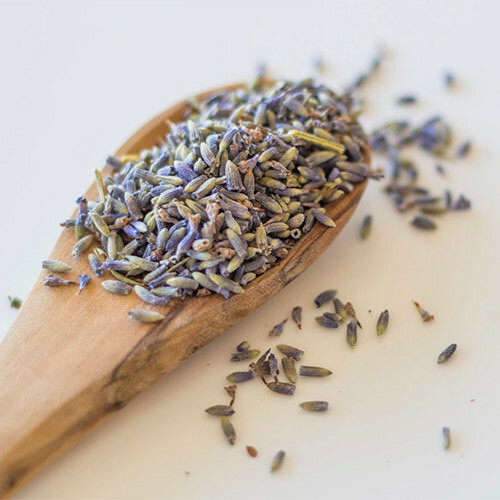 Straight from a lavender farm in Bucyrus, Kansas, this culinary lavender adds a special color and flavor to your baking. Lavandula angustifolia, an English lavender also known as Folgate is an excellent source for cooking. Enjoy hot lavender cocoa, lavender cheesecake, white chocolate lavender bars, savory foods and more. A little goes a long way so experiment with this amazing herb. Try a sweet treat and add lavender to cocktails, lavender lemonade, lavender lattes, pastries and more. Recipe included with purchase!